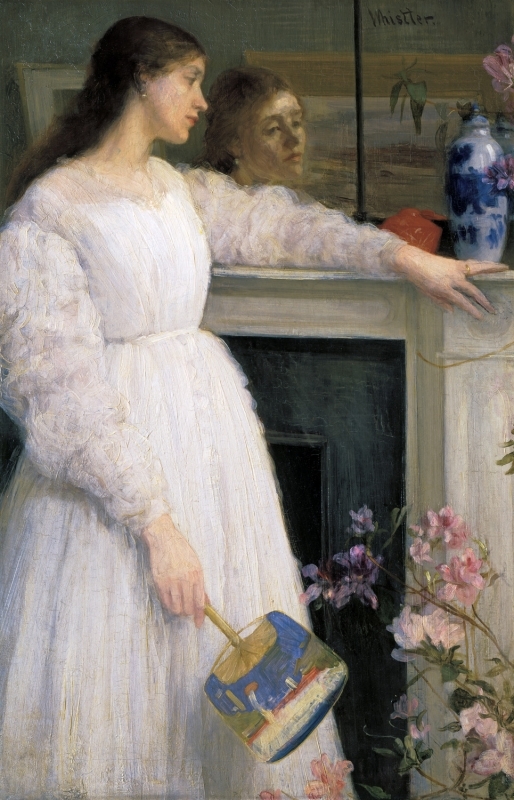 1863: In March Whistler moved to 7 Lindsey Row, which is the setting for Symphony in White, No. 2: The Little White Girl [YMSM 052]. 1865: It was exhibited at the 97th Exhibition of the Royal Academy of Arts, London, 1865 (cat. no. 530) as 'The Little White Girl'. 1: YMSM 1980 [more] (cat. no. 52). 2: Muther 1894 [more], repr. p. 529. Art Journal December 1894 [more], repr. p. 359. Anon., ‘Dzh. Uistler’, Mir Iskusstva, 9, 1903, pp. 61-69, repr. p. 62. Art Journal special number, October 1900 [more], repr. 3: [17/24 May 1864], GUW #02788. 4: Whistler to A. H. Studd, [3 May 1900], GUW #03163. 5: Pennell 1908 [more], vol. 1, p. 127.